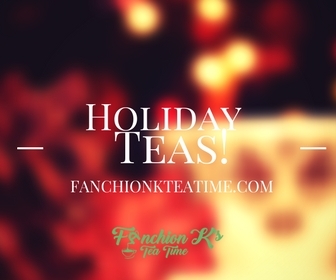 This year bring some holiday warmth with our Holiday Tea Collection. Click photo below to see our collection. Make this holiday special for the ones you love with a personalized gift baskets filled with our teas and more. email us at info@fanchionkteatime.com or call 662 -392- 8711 to begin customizing your gift basket today.